Rewa thrashed Tavua 3-0 in the Vodafone Premier League match at Garvey Park in Tavua yesterday. 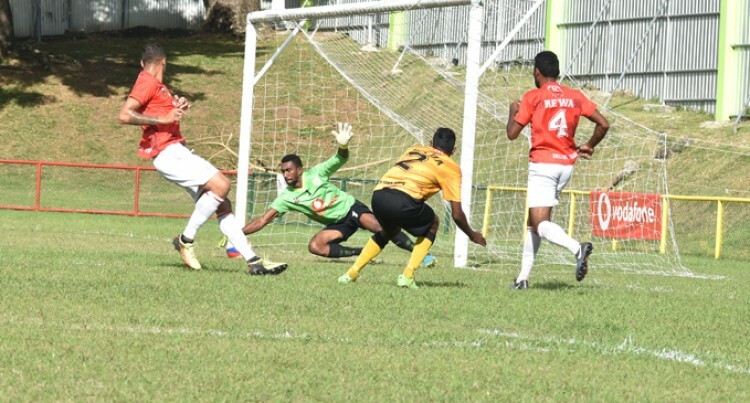 What happened: Tavua defended well before Gabriel Matanisiga scored the first goal in the 9th minute. Tavua played a poor defensive game which resulted in goals to Epeli Saukuru in the 46th minute and Setareki Hughes in the 80th minute. Star Turn: Goalkeeper, Benito Waqavou stood tall preventing Tavua from scoring.